Bambola Beauty offers a unique line of natural skin care products. 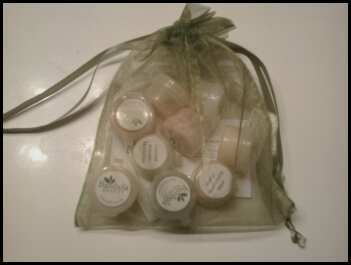 Made from only natural ingredients, Bambola Beauty's skin care products are fragrance and paraben free. Natural skin care products are better for both the environment and ourselves, and Bambola Beauty guarantees a portion of its proceeds to The Save the Earth Foundation. Featuring over 20 natural skin care products, Bambola Beauty offers products that work best for every skin type. Whether you have dry, oily, or combination skin type, Bambola Beauty has a product that is right for your skin. 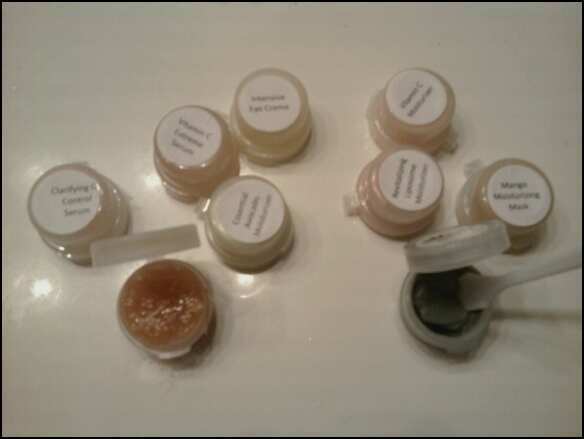 I received several small samples from Bambola Beauty to try: Essential Avocado Moisturizer, Revitalizing Liposome Moisturizer, Vitamin C Moisturizer, Volcanic Mineral Scrub, Vitamin C Extreme Serum, Clarifying Oil Control Serum, Citrus Rejuvenating Mask, Mango Moisturizing Mask, and Intensive Eye Creme. It was really fun to test these products out and pamper myself in the process. I have never really used "masks", so the two fruit masks were especially fun to try. I could tell just by trying these products that they are natural since the Citrus mask had little fruit chunks in it, and I could smell the fresh fruits in the citrus and mango masks and the avacado moisturizer as well. My favorite product so far is the Essential Avacado Moisturizer. It literally cooled my skin as I put it on and it made my face so soft and smooth. I also like the Volcanic Mineral Scrub (it sounds pretty cool too doesn't it?) This scrub contains mineral exfoliants that are harvested from a nutrient rich source to gently exfoliate and deep cleanse the skin, giving it a fresh appearance. Another favorite of mine (although I like them all) is the Intensive Eye Creme, which has not only helped with my dark circles, but it also gives a sparkly sheen when it goes on to immediately brighten the eye area. I enjoyed trying all of the Bambola Beauty products, they seem to work well and they smell great naturally, without all those added chemicals! My skin has been glowing since I started using these products. Thanks Bambola Beauty! Buy It: You can purchase a Bambola Beauty products online. Mandatory Entry: Tell me which Bambola Beauty product you'd pick if you win! I would try the Vital Nutrient Balancing Toner if I won. I would pick the lip smoother and some bamboo washcloths! I think I would choose the Volcanic mineral scrub or the under eye circle cream that you mentioned.